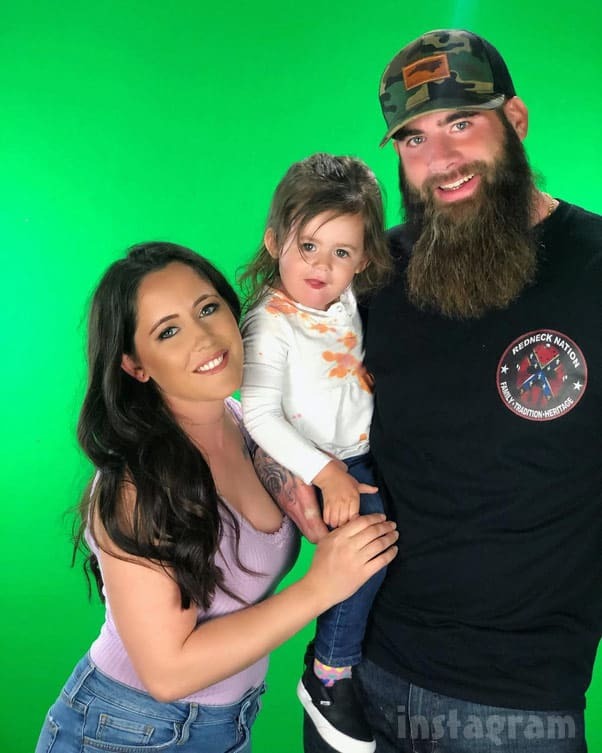 Despite MTV’s best efforts to keep Teen Mom 2 star Jenelle Eason separate from her adversarial co-stars during the Reunion taping this weekend, it seems they forgot one potential hatter — Reunion co-host Nessa Diab! According to The Ashley’s source, Jenelle tried to dodge responsibility for the posts by claiming that she doesn’t control what gets posted on her social media accounts. As we have stated numerous times before, the sponsored posts on Jenelle’s social media accounts are made by a third party company. 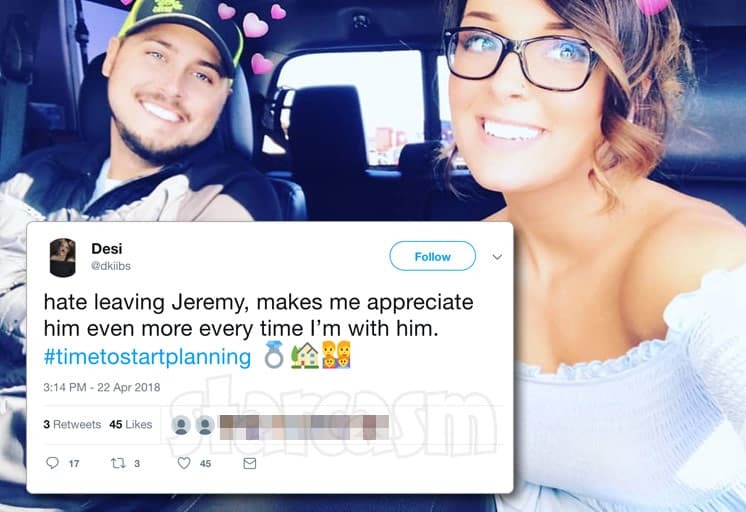 So, Jenelle is not the one making the posts. BUT, she does have the choice as to whether or not to continue the partnership. 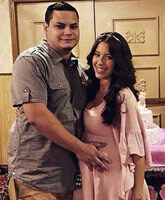 During the interview, Jenelle was reportedly receiving numerous texts from her husband David, who was not allowed on set and was staying in a nearby city as part of MTV’s preschool corralling efforts to avoid confrontations. Eventually, Jenelle began to cry and left the stage. Producers convinced her to return, at which point Nessa picked up right where she left off. That proved to be too much for Jenelle, who stormed off stage for a second time. This time she reportedly “went up to some of the producers and told them ‘I am having stomach pains and I need to go to the hospital.’” The Ashley’s little bird has some amazing hearing! I’m going to step out on a limb here with a little bit of speculation. Jenelle previously announced that she was having medical issues and stated that she might have to miss the Reunion taping because of it. Although Jenelle might actually be having some serious health problems (she can’t seem to shake those), I really believe she was establishing an emergency parachute that she could pull the cord on to get out of attending without violating her contract. And that emergency chute would also work right in the middle of recording her segment. So, what do you think about this development? 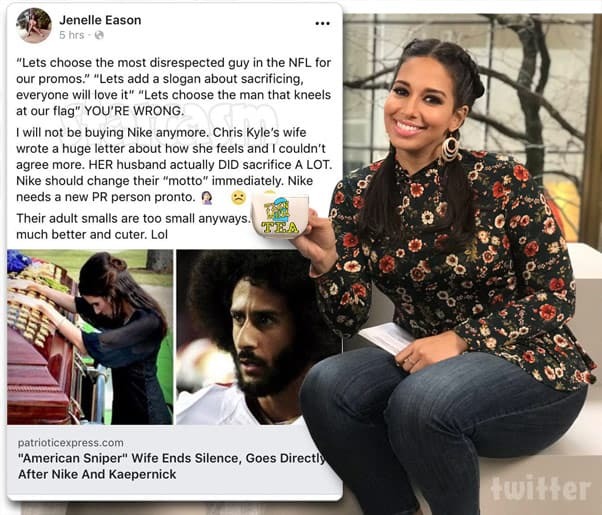 Did Nessa have a responsibility as a co-host to remain impartial, or was she justified in bringing up Jenelle and David’s attacks on her boyfriend Colin? On a side note, in order to create the image at the top of this post featuring Nessa holding an altered Talk Stoop mug, I had to edit out Terry Crews. Given what an awesome dude Terry is, that made me feel pretty bad — and probably set me up for some rather unfortunate cosmic karma. So, in hopes of balancing out my account a bit, here’s a link to the original photo with all of the Crewstrulescence still intact!